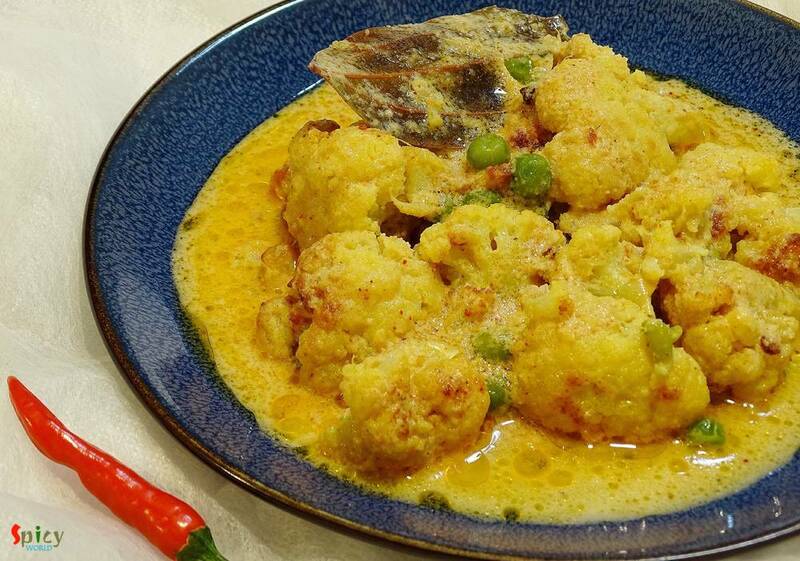 I have seen two types of cauliflower's roast curry from childhood, my mom makes the yellow + spicy version and the other one is white + sweet version. 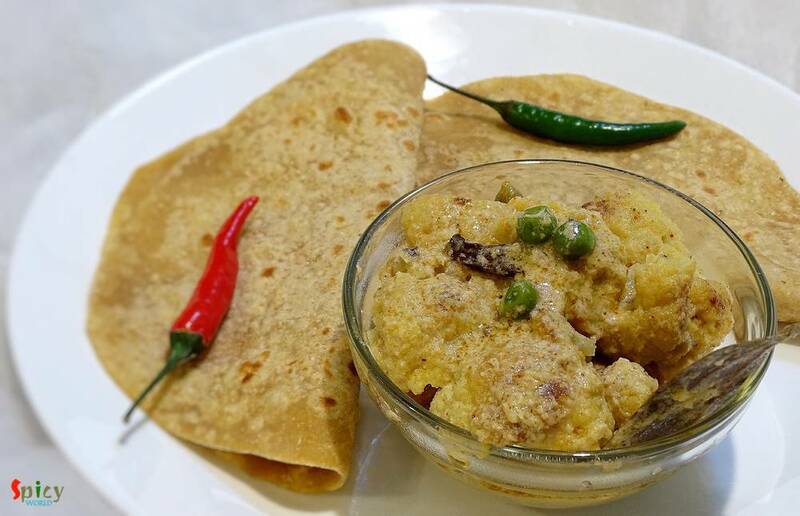 Both of them are my favourite but today I am sharing the recipe of second version because I have already shared a similar as 1st one cauliflower curry in my earlier post. 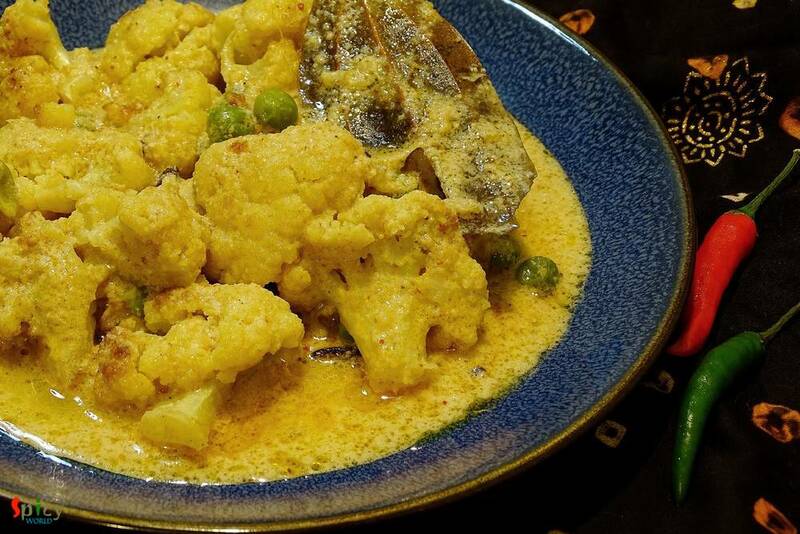 So, in Bengal this cauliflower white curry becomes very popular during festivals and goes best with pulao or plain roti. Few pure Bengali restaurants serve this dish during puja. The recipe is quite similar with them except some changes like they make this curry with pure 'ghee' but I made it with oil + little ghee etc. The taste came out phenomenal and 'he' finished half of the curry in one sitting. Try this in your kitchen and enjoy with your loved ones. 10 - 15 medium size cauliflower florets. 4 Tablespoons of poppy seeds. 3 Tablespoons of freshly grated coconut. Whole spices (4 green cardamom, 1 bay leaf, 1 cinnamon stick, 4 - 5 cloves). Soak the poppy seeds and coconut in milk for 2 hours and then blend them to a smooth paste. Heat oil in a pan and fry the cauliflower florets lightly in hot oil. Then keep them aside. In the same oil add all the whole spices. Saute for few seconds. Then add ginger paste and red chilli powder. Saute for 40 seconds. Bring the heat to low, beat the curd with little water and add into the oil. Mix for few minutes. Then add 3-4 Tablespoons of that white paste, some sugar and salt. Mix well until the oil separates. Then add some green peas and cook for some time. Add the lightly fried cauliflower, salt and half cup of warm water. Cook until they become soft. Lastly sprinkle garam masala and add the ghee. Give it a good mix and turn off the heat.